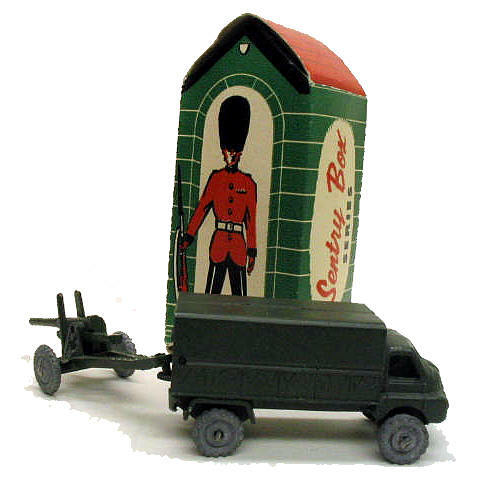 The Sentry Box series produced by Kemlows Diecasting Products Ltd. was one of many Lesney inspired imitators with a novelty box. Be sure to read Robert Newson's article, Sentry Box Series, published in Model Collector March 1998 for an authoritative description of these Matchbox inspired military models. 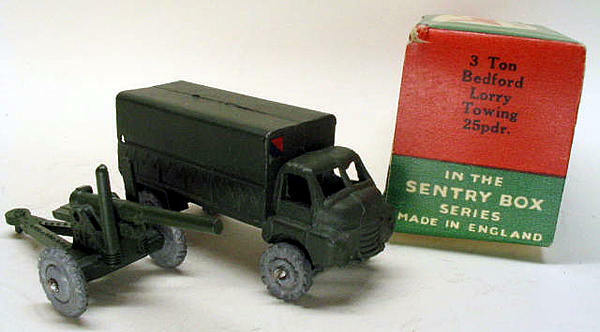 This and more articles written by Robert about minor British manufacturers of cast metal toy vehicles can be found at his web site, www.robertnewson.co.uk.